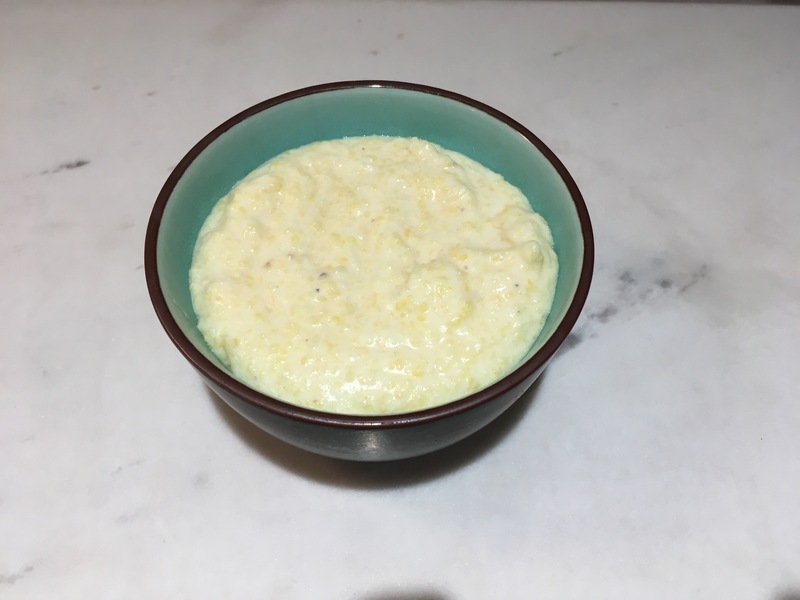 I have made polenta various ways over the years and have found that my favorite method for achieving creamy polenta is to start it on the stove and then transfer it to a slow cooker to simmer. Prepared this way, it is consistently soft and creamy, perfect for a cold winter day. Serve it alongside braised meats or stew. I also like it for a gluten-free breakfast. Be sure to use stone-ground cornmeal for the best flavor and texture. The recipe is adapted from Melissa d’Arabian. Grease or spray the ceramic insert of a 4-quart slow cooker (to keep polenta from sticking) or line with a plastic slow cooker bag. In a 4-quart stockpot whisk together milk, half and half, water, cornmeal, butter, and salt. Turn the heat to medium and bring to a boil, whisking often. Lower heat slightly and whisking constantly, simmer for 2-3 minutes. Spoon mixture into the prepared slow cooker. Cover and cook on low for 2 hours until soft and creamy. Stir 3 or 4 times during the cooking process. You can add in some Parmesan cheese at the end of cooking or leave it plain. Serves 6-8. This entry was posted in Breakfast, Christmas, Easter, Grains, Vegetarian. Bookmark the permalink.